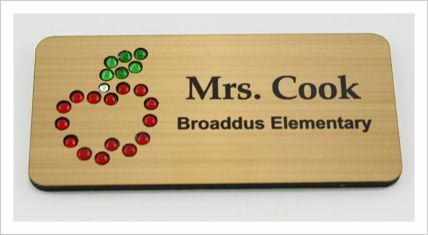 Teachers need a little bling too! 1.5"x3" Bling Badge with magnet back. You will enter your Bling Badge information, logo or special color request in the check out area.